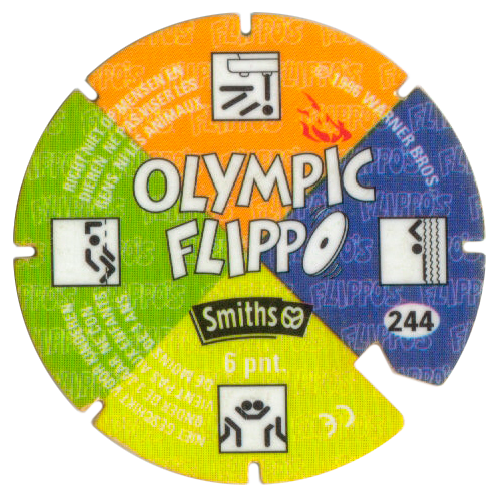 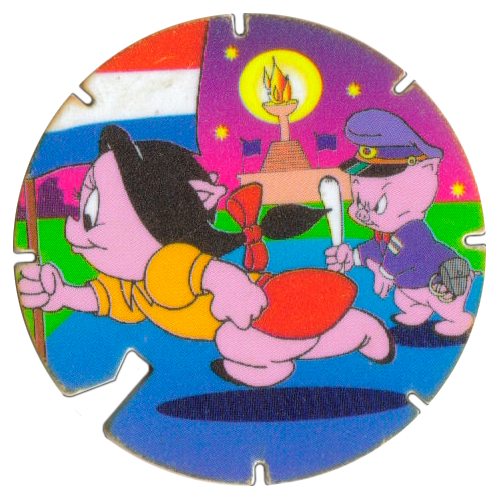 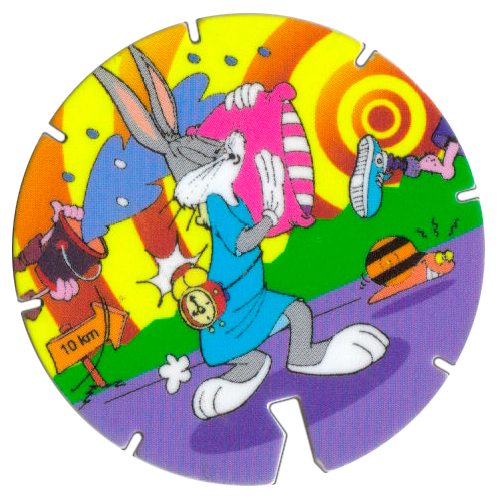 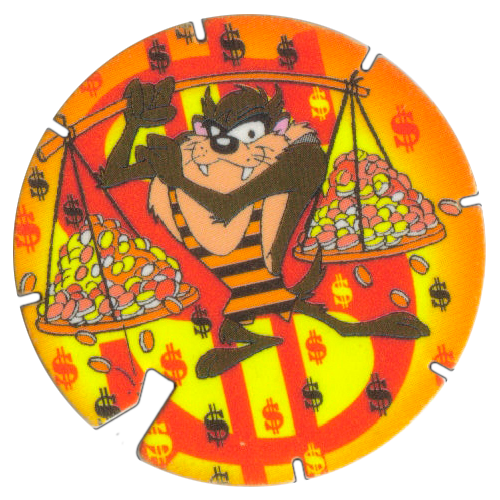 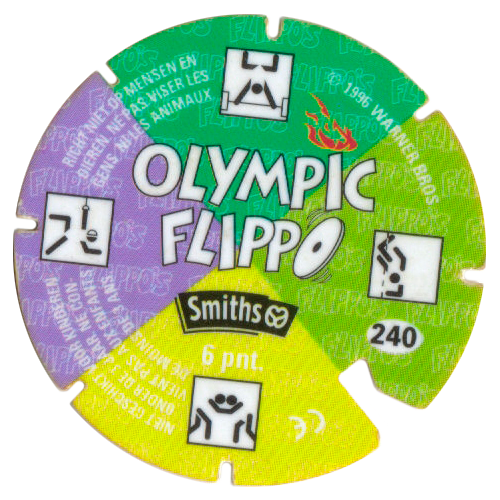 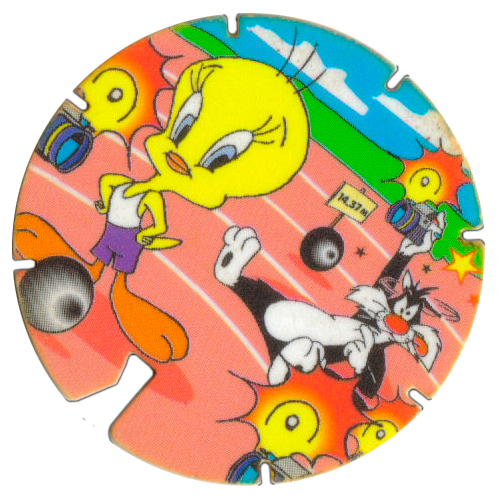 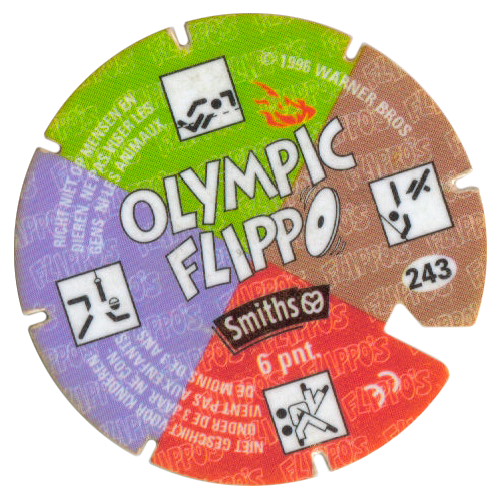 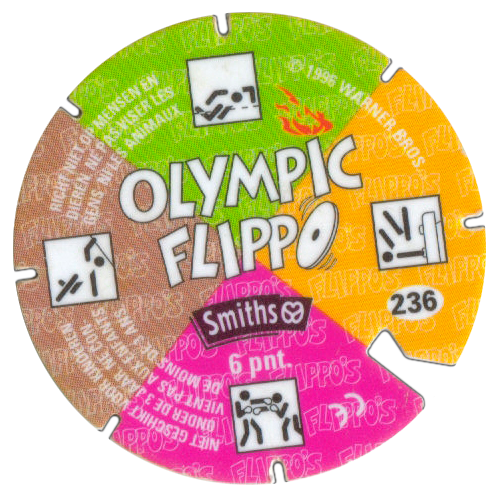 Info:Olympic Flippos were given away in packets of crisps sold by Smiths in Belgium during 1996. 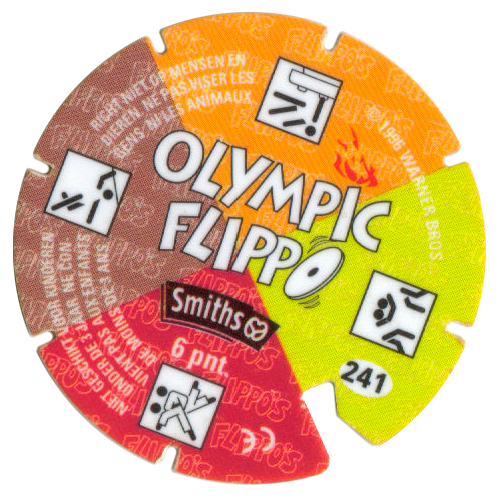 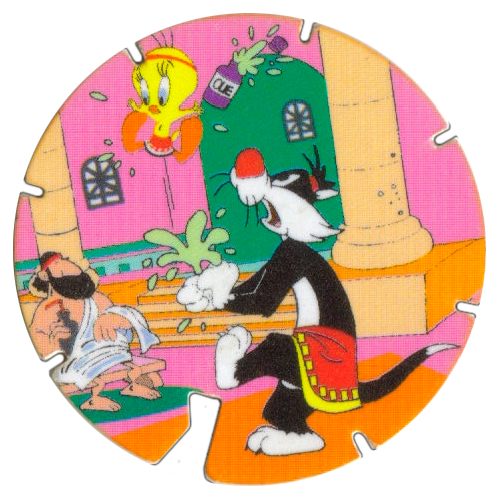 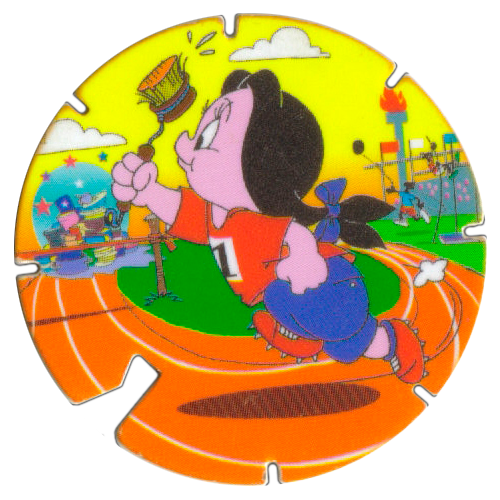 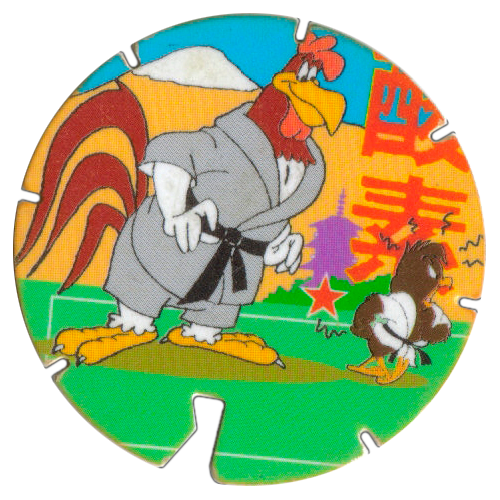 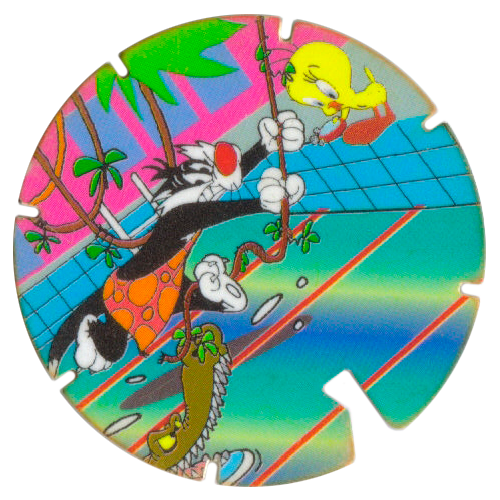 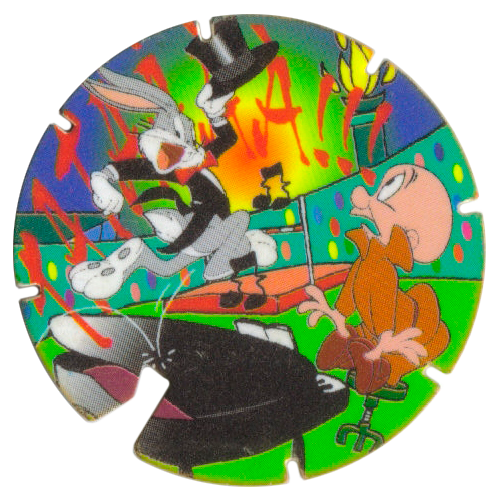 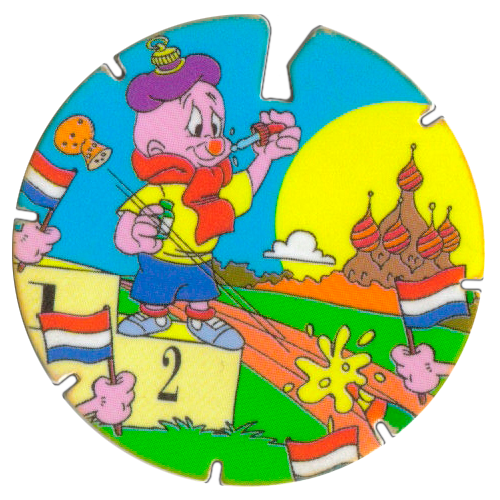 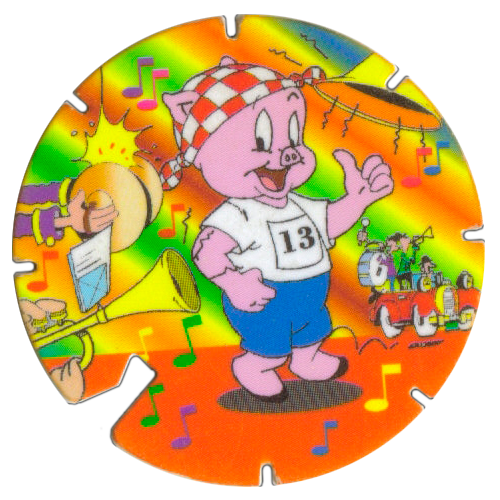 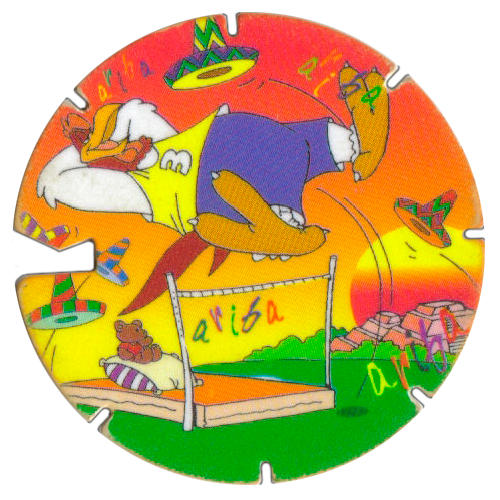 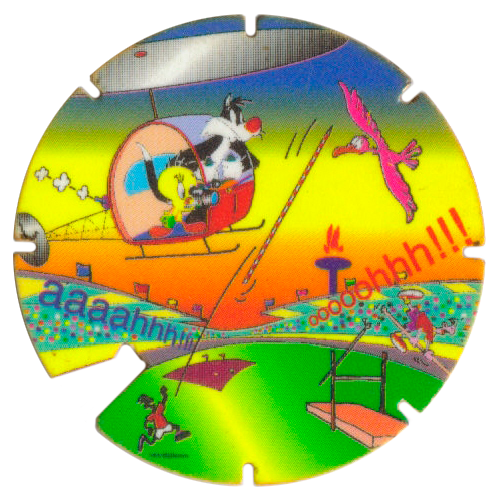 The designs are the same as the Olympic Flippos previously released in the Netherlands, with a couple of differences. 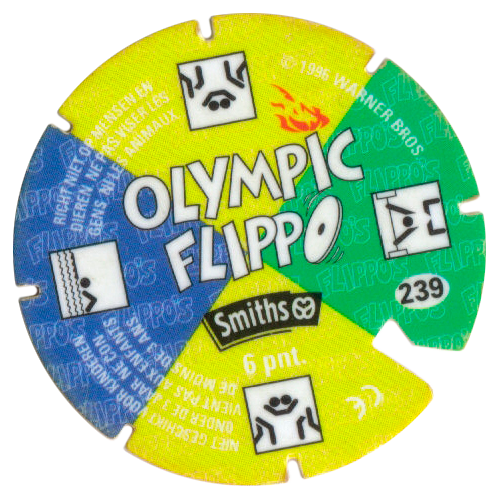 The Belgian Flippos have notches cut round the outside. 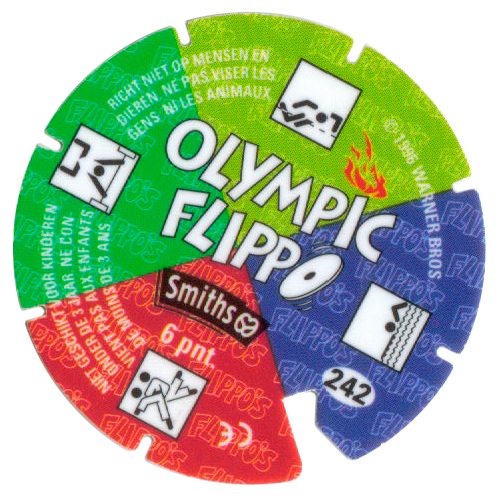 The back design is also different, with warnings to keep the Flippos away from young children and animals in Dutch and French.